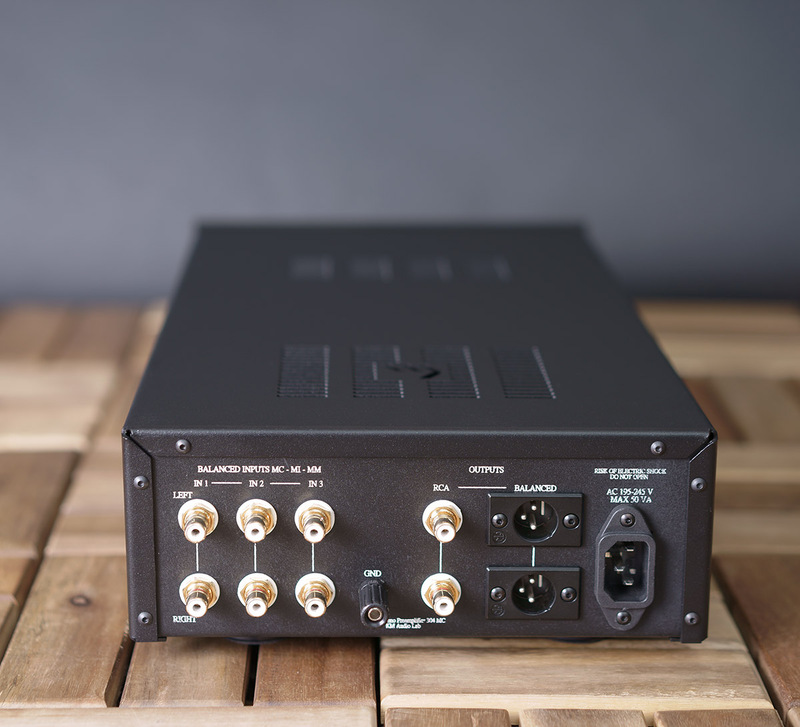 Km 304 hybrid Phono stage represents a tremendous value for those who want to collect a maximum analog resolution system at a reasonable price. 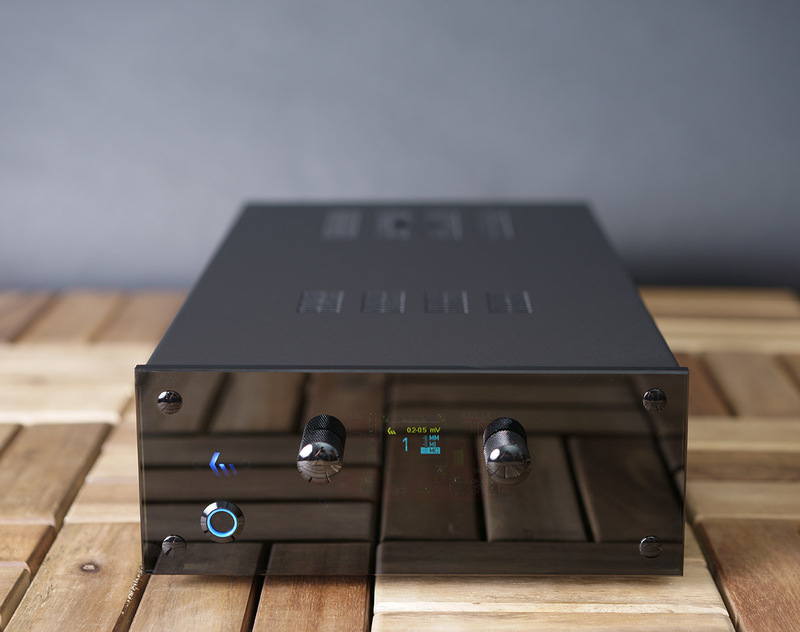 Our flagship Phono stage we have created an entry to true high-end analog sound. Applied technical solutions allowed to feel the high-resolution detail, linearity and controlled bass are all there, along with musicality, depth and spaciousness that You will not find in most Phono stage. It is important that the matching of the cartridge with the input is enough to know its output voltage level that is set manually on the front panel. User-selected settings are saved and when power is off. Connection Phono input the usual RCA and balanced inclusion of cable. Connection with Phono output a normal RCA and balanced XLR. and any of the vinyl discs. system can provide KM304 fono is an essential component. 1. Low noise hybrid bipolar/tube active MC/MM stage, and tube LF stage. 2. Select 3 separate channel. 3. Select MC to MM level inputs. 4. Not required select MC to MM resistive cartridge loading. 5. User- switchable MC to MM gain settings at 58dB to 72dB with 5 settings. 6. Innovative low feedback in 1-st stage hi-pole RIAA filter. 7. Innovative 2-nd stage tube inductance Lf-pole RIAA filter. 8. Buffered bipolar output for driving low impedances through any cable. 10. Save switchable channels and MC to MM gain settings on memory. 11. Front panel Power, Select and Mute knobs. 12. Audiophile-grade components throughout, including any hi-caps if need. 13. Toroidal power transformer with comprehensive AC RF filtering and stable voltage. 14. Stabilization AC in first winding of power transformer. 15. Possible to connect balanced and unbalanced.